Established in 1979, the Phonetics and Speech Lab provides for research and teaching that bridges experimental phonetics and phonology from a linguistics perspective and more engineering based approaches to speech modelling. It participates in a number of international research projects, and has collaborative links with many speech laboratories in Europe and beyond. There is a particular interest in research on Irish, but aspects of Hiberno-English and of many languages have also been investigated. 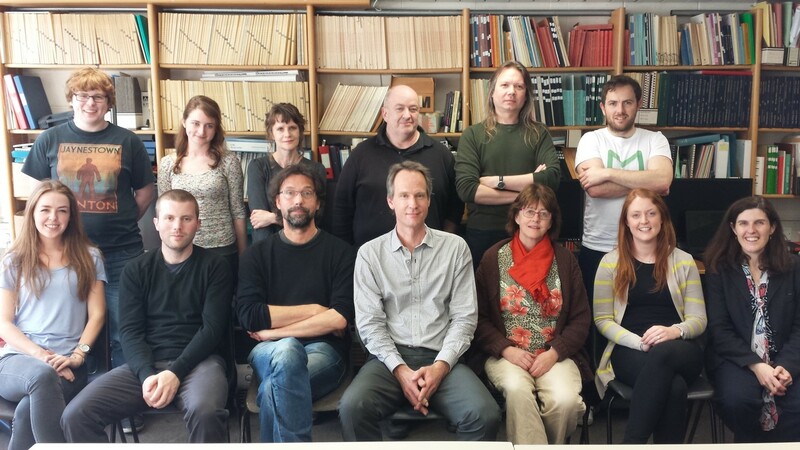 Back row: Eoghan, Finnuala, Irena, John, Christoph, Mícheál. Front row: Emily, Andy, Harald, Christer, Ailbhe, Neasa, Elaine. Research for student dissertations may be undertaken in a variety of theoretical and descriptive areas. Major research areas of the Laboratory and related research projects are listed below. 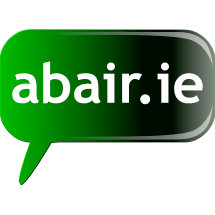 The current project ABAIR, funded by the Department of Culture, Heritage and the Gaeltacht, enables the ABAIR team to continue developing state-of-the-art synthesis systems featuring all three major dialects of Irish. Principal investigators: Ailbhe Ní Chasaide and Christer Gobl. For those learning to read and those who have trouble reading, we are currently developing CabairE, a literacy training tool. CabairE will highlight words and phrases as they are being read out. Users can control the speech tempo, they can have single words or phrases repeated and can magnify the text as needed. Voice parameterisation and analysis of linguistically relevant voice source variation. The research is part of a large national collaboration aiming at personalised multilingual access and customer care. Application of speech recognition/synthesis technology in the MIR space station. Funded by the European Space Agency, project no. 11695/95/NL/JE. Voice variability in speaker verification. EU funded LTR working group under RTD programme in Information Technologies, Project No. 22760. 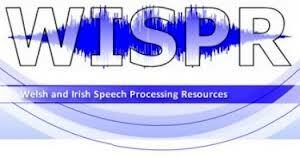 A development system for Irish text-to-speech conversion. Project funded by ACCUTRON, Limerick and the Irish-American Foundation. EU funded ESPRIT/BRA project, No. 6975. The analysis and synthesis of speaker characteristics. EU funded ESPRIT/BRA working group, No. 6298. EU funded ESPRIT/BRA project, No. 3279; EU funded ESPRIT/BRA working group, No. 7098. Courses are taught at undergraduate and postgraduate levels.